As I already wrote earlier, the cheap LM8UU linear bearings on the Y-axis already wore out after printing some 2.5kg of PLA and I created some nice slide bearings that attach with zip-ties to replace them. 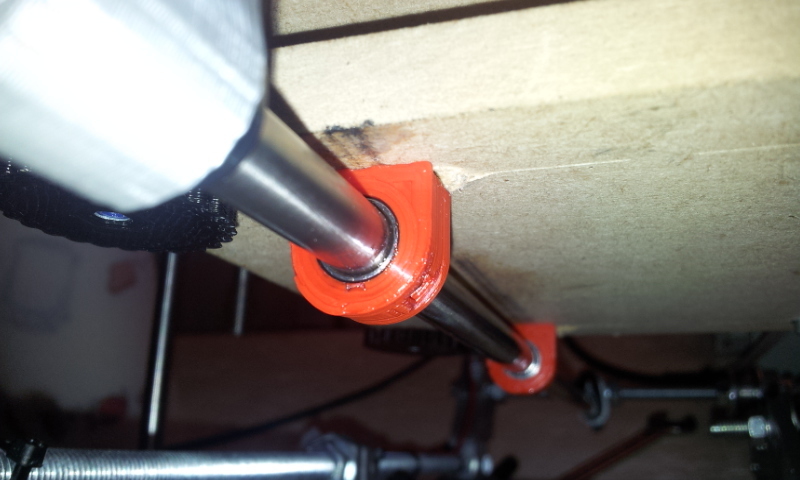 Today the linear ball bearings really broke, so I mounted the new bearings to avoid trouble with the smooth rods. FTW. When the sintered bronze bearings wear out I will try Igus bearings. The X-axis also starts to make noise and rattle,... we'll see.